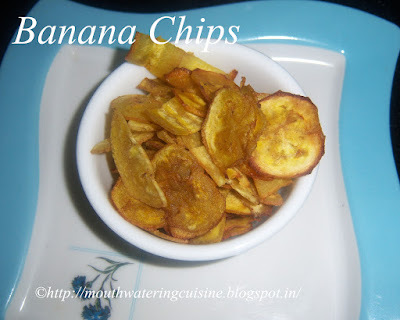 Raw Banana chips are the most favourite of my daughter and me also. Whenever we go for monthly grocery, a must buy item is this. I want to make them at home but do not know how to do. I googled a lot for them and don't know whether they are authentic or not. 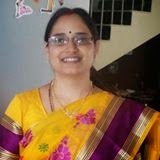 One my cousin is having a student who is from Kerala, once brought them from his place and told her that they are homemade. She immediately asked the recipe and shared it with me. I tried and obviously the out come is this tasty and awesome chips. Peel the skin of bananas. Add turmeric powder to water and put bananas in it. Let it be like that for 10 minutes. Heat oil in a kadai till the fumes comes out. Slowly put small piece of raw banana to check the oil is hot enough, if it sizzles out immediately, then oil is enough hot. Hold the chip maker over hot oil kadai and slice the banana into it directly. In a small bowl add salt and water. Keep aside. Fry them till they become crisp in low flame. Slowly add salt water, which we already kept aside, to the oil. This will sizzle out very fast, so we need to be careful while adding water. After a few seconds this will settle slowly. Once the oil settles, fry the chips and with the help of slotted ladle take them out from oil. Drain excess oil and take them onto a kitchen paper. Repeat the same with all the bananas. Once done we can store them in an air tight container. 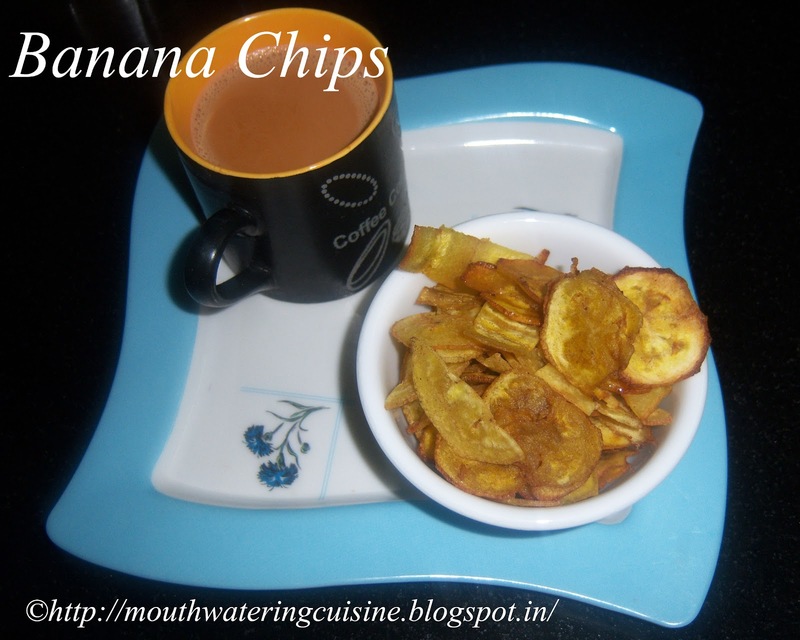 Serve raw banana chips with hot cup of tea or enjoy them any time.